Each year over 4 billion pounds of toxic chemicals are released into the environment by industry, and over 1.2 billion pounds of pesticides are used in the United States alone. This makes it impossible to avoid exposure to toxins at some level. To make matters worse, it has become increasingly difficult to consume an adequate amount of nutritional factors to help detoxify these environmental assaults that find their way into the body. Over time, an accumulation of toxins can reduce energy levels, as well as negatively impact immune, neurological, and overall health. 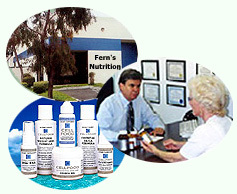 Fortunately, specialized nutritional support to enhance detoxification capacity can help you stay healthy. 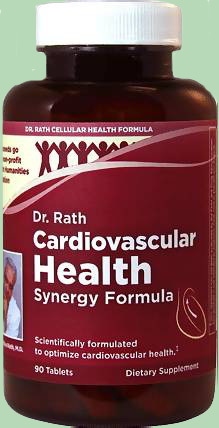 provides nutrients that support hepatic detoxification processes. 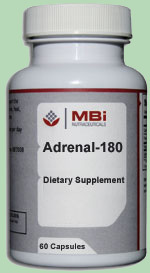 Price: $79.95 - 32.6 oz. 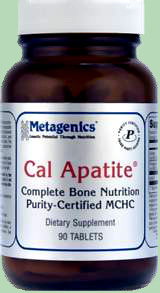 Metagenics AdvaClear - Unique support for balanced activity of the body's detoxification processes for renewed vitality, energy and well-being. Metagenics Silymarin 80 - Standardized Milk Thistle Seed Extract for Healthy Liver Function. MBi Hepapurg Drops - Use for organic and functional complaints of liver and gallbladder, hepatopathy, cholecystophathy, calculi, disturbances of the biliary secretion, hepatitis, swelling of the abdomen, lack of appetite, bitter taste in mouth, flatulence and constipation. Price: $13.00 - 1 oz. 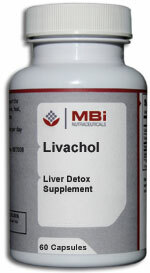 MBi Livachol - Improve liver function. The ingredients in Livachol help the body detoxify substances in the liver, and help support, replenish and strengthen it. *Free Shipping offer applies only to continental U.S.
Email us for shipping charges to Alaska, Hawaii, or outside the U.S.